The Medical Assisting Program at PIHT will help you become a more well-rounded professional while working with patients in a fast-paced and challenging environment! If you want to be part of the excitement, consider obtaining your Specialized Associates Degree in Medical Assisting at Pennsylvania Institute of Health and Technology (PIHT) and start your new career in two years or less. The 18 month Medical Assisting program offered through PIHT focuses on providing students with hands-on practical experience with less focus on theory and more on hands-on training of the day to day operations within the medical assisting world. Additionally, two-year programs allow students to obtain a degree at a fraction of the cost of four-year school while still receiving the education and training needed to get started in the medical professional world. Our medical assistant training is also unique compared to other medical assistant programs near cities like Greensburg and Connellsville because we not only provide you with hands-on training in medical procedures and skills but also in medical office work. As part of our medical assistant program’s curriculum, you will complete an externship within your degree requirements. This on-the-job training allows you to apply the skills you’ve learned in your Medical Assisting program to the real world with real people. 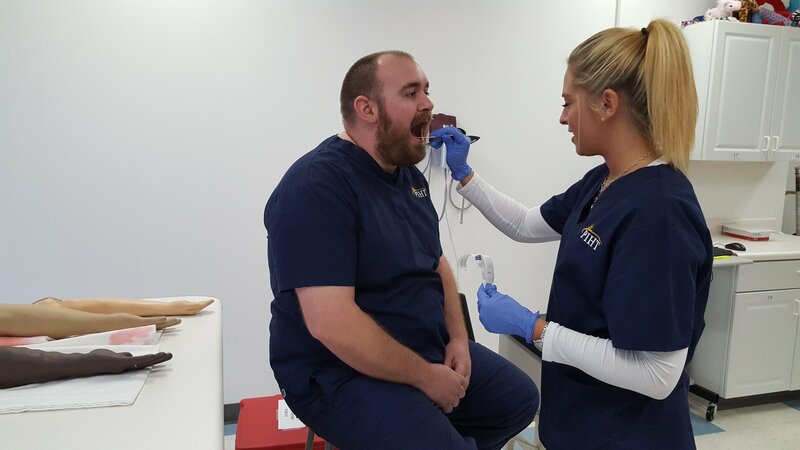 Additionally, this experience is invaluable and also allows you to showcase your skills to employers in Mount Braddock, Connellsville, Greensburg and throughout the southwestern Pennsylvania area who hire medical assistants. Previous PostPrevious Why we Have Continuous Enrollment? – Are you ready to get started?